Dr Vernon Hermsen, M.D., F.A.C.S. Dr Vernon Hermsen is a board certified ophthalmologist specializing in vitreoretinal diseases and surgery. He is a graduate of the University of Texas Southwestern Medical School in 1966. Following medical school he spent 3 years in the Unites States Army in East Asia as a battalion surgeon. Following his military service he completed a residency in ophthalmology at Scott and White Hospital in Temple Texas and was certified by the American Board of Ophthalmology in 1977. He completed fellowship training in vitreoretinal surgery and ophthalmic ultrasound at the University of Iowa and then joined the facility as a full time tenure track professor. In 1983 he joined the facility at the University of Texas Medical Branch in Galveston as Chief of the Vitreoretinal Section. 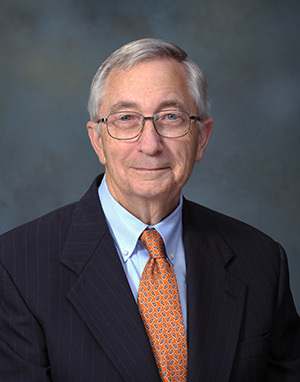 He then moved to Texas A&M Medical School in Temple Texas as chief of vitreoretinal surgery and chairman of the Institutional Review Board and Research Committees. He developed extensive basic science eye research studies including, pioneer work on photodynamic therapy and the use of monoclonal antibodies and imunotoxins for the treatment of macular degeneration and eye tumors. He entered private vitreoretinal surgery practice for 15 years and then joined the Veterans Administration as chief of eye care and teleretina for the VA in Waco, Temple, and Austin, in central Texas, Dallas, and Fort Worth in north Texas and San Antonio in south Texas. He is a fellow of the American Board of Ophthalmology and has been a member of several professional organizaitons including the American Academy of Ophthalmology, the American Medical Society, the Texas, South Dakota, Iowa, Missouri, and Illinois State Medical Societies, the Association for Research in Vision and Ophthalmology, the Royal Medical Society (England), the Vitreous Society, the American Society of Retinal Specialists, the Aspen Retinal Detachment Society, and the Iowa Eye Association. He is married to Patricia, a registered nurse and is the father of Jeffrey Hermsen, a social worker and Kathryn Riesenman, MD a radiologist.